It's arguably the most famous movie about organized crime of all time, save for the first two movies of the Godfather trilogy. 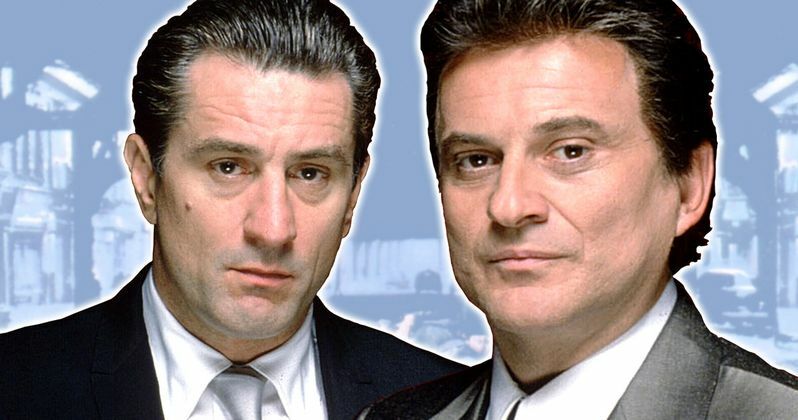 Ray Liotta, Robert DeNiro, and Joe Pesci starred in Goodfellas, an essential component of the cinematic legacy shared by DeNiro and filmmaker Martin Scorsese. Based on a true story, the crime saga sits alongside The Godfather, Scarface, and Casino as one of the greatest gangster dramas ever made. Here, we look at 10 things you never knew about Goodfellas. Imagine Gooodfellas starring Tom Cruise and Madonna. The producers initially wanted Tom Cruise and Madonna in the lead roles of Henry Hill and his wife, Karen. Madonna's ex-husband Sean Penn was also considered for Henry. Hill is the real life gangster whose story inspired the book Wiseguy, which inspired the movie. Hill was kicked out of the FBI's Witness Protection Program. After the release of Goodfellas, he enjoyed the spotlight, releasing a cookbook and making regular call-in appearances to The Howard Stern Show. Hill passed away from heart related complications in Los Angeles in 2012. Ray Liotta didn't know Paul Sorvino was going to slap him. Paulie tells Henry to stay away from drug dealing and punctuates the advice with a slap. Ray Liotta had no idea Paul Sorvino was going to slap him. Sorvino improvised. Al Pacino said no to playing Jimmy. Jimmy Burke, aka Jimmy "The Gent" or "The Big Irishman," was a bricklayer turned gangster who authorities believe was behind the $6 million airline heist at the center of the movie and the subsequent murders of many of the people involved. Al Pacino was offered the part of Jimmy, renamed Jimmy Conway in the movie, but passed. At the time, he was said to be concerned about being typecast as a wiseguy. The steadicam scene wasn't planned. The Steadicam shot that takes the audience through the nightclub kitchen is probably the most famous moment in Goodfellas for cinephiles. But it wasn't part of the original plan. The idea came up when the venue refused to let them shoot the entrance. The scene was reshot several times, but only because comedian Henry Youngman kept screwing up his lines, which ruined the end of the long single shot. Martin Scorsese didn't direct the wig commercial. The commercial for Morrie's Wigs was the first thing shot for Goodfellas and it wasn't directed by Marty. In order to capture the low-budget feel of local TV commercials, the filmmaker reached out to Stephen R. Pacca, a real-life businessman who'd made those kinds of ads, and had him write and direct the Morrie's Wigs spot.